There are many benefits to getting your garage floor epoxy coated. It will cover imperfections, make your garage look awesome, and the thicker coating is moisture resistant, durable and resilient to impacts so it will stay looking amazing for many years to come. If you need a garage floor coating company, you are in the right place. 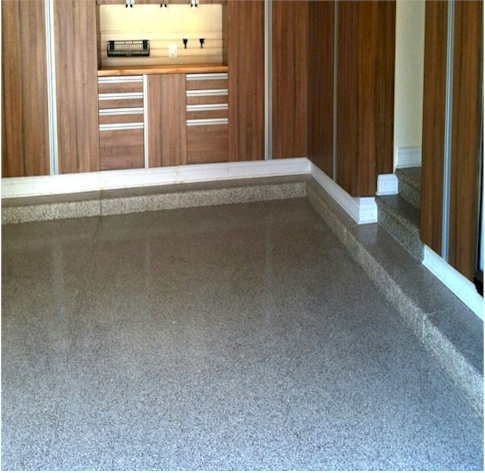 We serve both residential and commercial customers and take on garage floor coating projects of all sizes. Our dedicated garage floor coating specialists will show up on schedule and do a high quality job you can depend on. We want you to be fully satisfied with our services, and your complete satisfaction is our top priority. All you need to do is fill out our short contact form, briefly describe your garage floor coating needs, and we will get back to you right away with a free custom quote.